Thanksgiving brings families together and traditions are created. Perhaps this year your family would like to incorporate a healthy activity into your holiday festivities? The 6th annual Gobble Gallop 5K offers the perfect opportunity to accomplish this goal. Hendricks County residents and their out of town guests have enjoyed this fun, healthy tradition on Thanksgiving morning for several years. 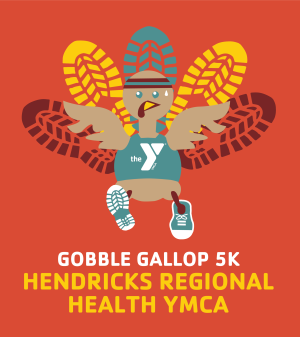 The Hendricks Regional Health YMCA, 301 Satori Pkwy, Avon, hosts the Gobble Gallop 5K and all proceeds go toward their annual campaign. By participating, your family helps children attend pre-school, take swim lessons and play in youth sports leagues. So, this event not only instills the importance of healthy behaviors in your own family but for other families in the community as well. Both runners and walkers of all ages are welcome to participate in the Gobble Gallop 5K the morning of Nov. 23. Strollers are allowed. A kid&apos;s fun, quarter-mile run will occur after the 5K. Runners and walkers of all skill levels will enjoy the 5K course as it is flat and fast. The first mile winds through a nearby residential neighborhood. 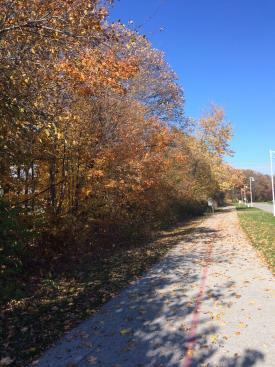 The second and third miles consist of the beautiful YMCA trails surrounding the campus. As a member of the YMCA, I&apos;ve enjoyed running/walking on these trails for several years. Currently, the late fall foliage is gorgeous and hopefully that continues for the Gobble Gallop 5K. Please take note, the start and finish lines are located in separate areas of the campus. This allows for fun festivities throughout the YMCA grounds! Check out the course map for more details. Click here to register for the Gobble Gallop 5K. Donate to a great cause, establish a family tradition and feel less guilty about that second helping of Thanksgiving goodness. Join Hendricks County residents and their families for the 6th annual Gobble Gallop 5K.